In humans, growth hormone is a naturally occurring substance secreted by the pituitary gland which lends to cell reproduction, regeneration and growth. Synthetic reproduction of growth hormone is made through recombinant DNA technology and is referred to as somatropin (HGH). During the 1960's, the first use of human cadaver-extracted growth hormone was used in children in need of hormone replacement therapy. Commercial use of the extracted hormone was introduced in the 1970's. It was not until the early 1980's that synthetic versions were produced and sold for medical purposes. Today, HGH therapy is still commonly prescribed for anti-aging and hormone replacement purposes, but, is perhaps more commonly associated with performance enhancing drugs used by amateur and professional athletes worldwide. The highest levels of human growth hormone occur in humans during puberty. Gradual decreases in production of growth hormone will occur after the early 20's. Growth hormone deficiency can occur in children and lead to shortened stature and reduced body mass among other symptoms. In adults; symptoms of growth hormone deficiency can affect energy levels, sexual stimulation, and overall quality of life. Reduced muscle mass and strength commonly occur in patients experiencing growth hormone deficiency. Increased rates of osteoporosis, fat production and insulin resistance have also been observed in patients. Several effects of HGH on the human body have been noted. In the most basic sense; HGH therapy will help off-set the body's natural decreased production of growth hormone during the aging process. HGH will stimulate cell growth in organs, strengthen and improve cartilage and bone health as well as repair damaged cells. HGH can enhance the immune system, increase protein uptake and raise metabolism. Improvements in muscle mass have been observed in patients taking HGH. Some side-effects of HGH use include; joint problems, carpal tunnel syndrome and increased risk of diabetes. In the United States; real HGH is only available for medical use and must accompany and doctor's prescription. Buying HGH without a prescription is illegal and the legal HGH is only available from licensed sources. State-by-state laws can vary. 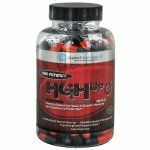 Legal HGH supplements can be purchased and thorough research should be conducted when looking for options. Legal HGH supplements are available for purchase. 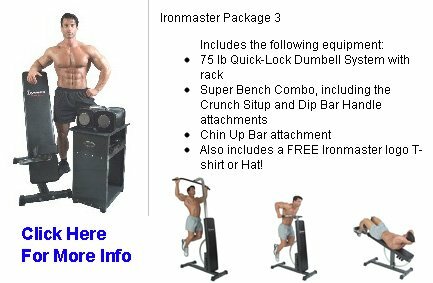 Some of these supplements are available as HGH pills or HGH sprays. A popular spray; deer antler spray has been associated with hormones that contribute to positive health benefits. Deer antler spray has been used for muscle development and increased performance. Other popular supplements are called HGH releasers. An HGH releaser is composed of different amino acids and thought to promote an increase in natural HGH secretion. All supplements should be researched carefully and can be purchased in traditional stores or online. HGH stimulators are additional supplements available and used to increase the natural production of growth hormone already occurring in the body. Pills and sprays are available for use as stimulators. It is believed that appropriate diet, exercise and other lifestyle modifications can act as stimulators and lend to increased production of growth hormone as well. HGH Injections are only available with a prescription in the United States. Injecting HGH is the most direct and effective way to introduce HGH into the body. Injection site infections and swelling can occur and proper injections instructions, safety and tips should be followed. When using an HGH formula, it is terribly important to eat a healthy diet. Consuming foods rich in protein, whole grains, vitamins and minerals will allow for natural growth hormone production as well as allow for complete optimization of HGH uptake. Avoid foods high in sugars and saturated fats while limiting alcohol consumption. Using HGH directly for weight loss has been studied with conflicting results. The possibility of lean body mass increases in combination with reduced fat production can lead to ideal body weight goals. Many will argue that increased energy levels, metabolism and lean muscle gains will naturally lead to a more active lifestyle which promotes weight loss. Eating healthy, using HGH appropriately and being active is an ideal combination for losing weight. The rise in popularity of bodybuilding has also caused an increase in supplemental uses to aid in muscle development and performance. Clearly, HGH can lend to an increase in lean muscle mass, bone and cartilage health as well as increased metabolism and protein uptake. These effects have not been ignored in the bodybuilding arena. Not only has the use of HGH provided positive results in strength performance, but just as importantly, provided positive results in cell damage repair which leads to faster and more complete recovery periods.